So…turns out I’m not the only Zinnia lover around! 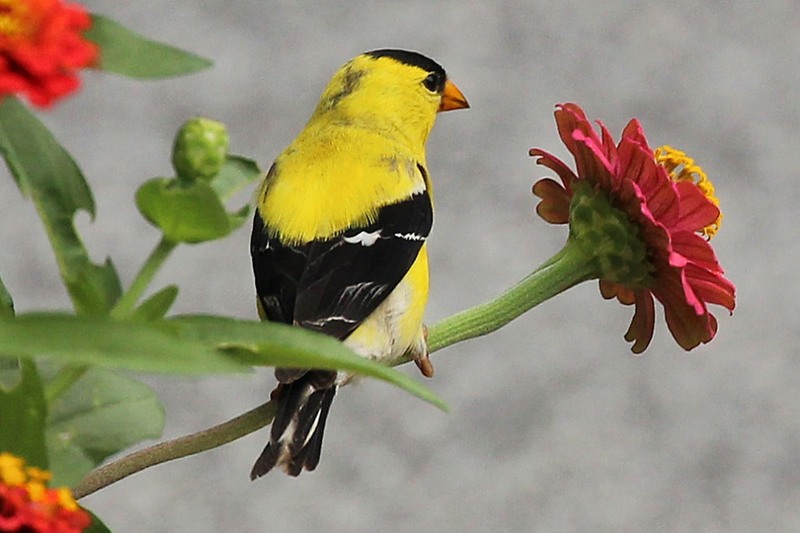 This glorious male goldfinch (and a handful of his friends) have taken quite a liking to our colorful front yard flowers. So much beauty! 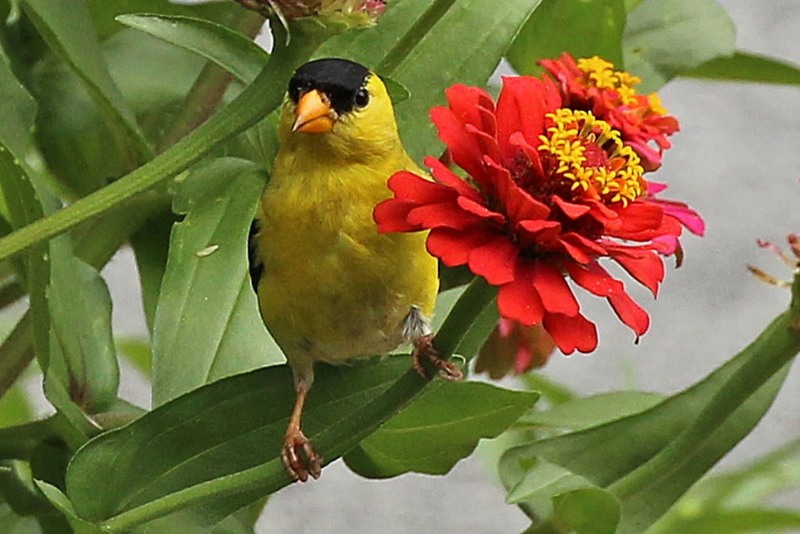 This entry was posted in Beyond the Backyard and tagged bird watching, creativity, flowers, gardening, goldfinch, hobbies, nature, photography. Bookmark the permalink. He found the perfect perch! Beautiful photos! Wow – what gorgeous photos. The yellow and red together are stunning. I may have to try and paint that first photo. If you could have seen me crouched down in the grass trying to get a clear shot you would have laughed. He was tucked in there! And I hope you do paint it! Beautiful photos of beautiful subjects. He is absolutely sitting for his portrait with that gorgeous zinnia! It is funny to watch them pluck the petals! Amazing photos…just beautiful. Love the colors. The very definition of vibrant! If I painted, I would definitely do so! He must’ve known the flower would show of his own finery to the best effect! Such great colors in your photos! The melding of the colors – amazing.